Trafalgar Wharf: Would your life-jacket save your life? 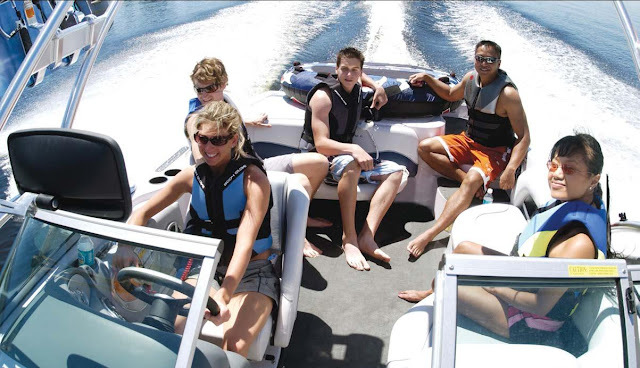 If you're heading out on your boat make sure you, your family and friends are all wearing life jackets. That might sound like an obvious thing to say, but RNLI research has shown that out of 98% of people carrying a life jacket only 49% wear them all the time. I strongly believe in wearing a life jacket whilst on the water and I thought I would share some advice on why it is so important to wear one in the unpredictable conditions of the sea. It could buy you time and save your life! First of all you need to make sure your life jacket is readily available and accessible on board for when you get onto your boat. If you are buying a new life jacket, make sure you check the fit. It won't be as effective if it is not snug around your shoulders as it won't keep your head afloat. Also, when buying a life jacket, you should look at the Newton rating. The Newton rating is relative to the weight of the intended user. Another interesting fact is that one third of life jackets that the RNLI's sea safety volunteers have seen, would fail to work due to poor maintenance. That is why our sister site, Thornham Marina in Chichester Harbour, have teamed up with Seasafe to provide boat owners with a hassle free life jacket servicing service. All you have to do is pop into the Thornham Marina office with your life jacket, complete a short form with your name, address and phone number, then Thornham Marina will send your life jacket to Seasafe where they will service it in their factory. Seasafe will call you to give you some general information about your life jacket as well as things you may not realise need replacing or fixing. Seasafe will then return your life jacket to Thornham Marina within 14 workings days for you to collect. I think we all agree that wearing our life jacket is a very sensible thing to do, so get yours and your families serviced soon. Click here if you would like more information about Seasafe and the services they provide. Call Jeanette or Courtney at Thornham Marina on 01243 375335 to get yours booked in.